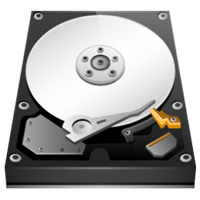 The hard drive is the primary computer data storage device, which spins at extremely high speeds to read and write your information to one or more fixed disk platters. This mechanical process will fail. If your hard drive is emitting unusual noises (clicking, grinding or scraping), turn your computer off immediately! This symptom typically indicates a mechanical failure that can destroy your data and reduce your options for a successful data recovery attempt. Most of the time, data loss is only temporary. Call us now for a free evaluation of your particular situation. We can help you decide what action to take and help relieve the panic and stress in data loss situations. Dougwoody data recovery is only a phone call away 478-333-3035. Our highly trained staff is able to perform data recovery from storage devices that have experienced everything from file corruption, viral damage, file deletion, user error, and even some mechanical damage. If we cannot recover your data, you pay nothing. That's right. We only charge for the data recovered. The first step to data protection is backups. If you have two or more copies of your data, it is much harder to lose it. We can design and install a backup solution that fits your needs and budget.